Travel is unforgiving: if you’re on a fishing trip, your travel gear is the only gear that you have, so it has to be up to the task. I recently tested a few items that were standouts in their respective categories. 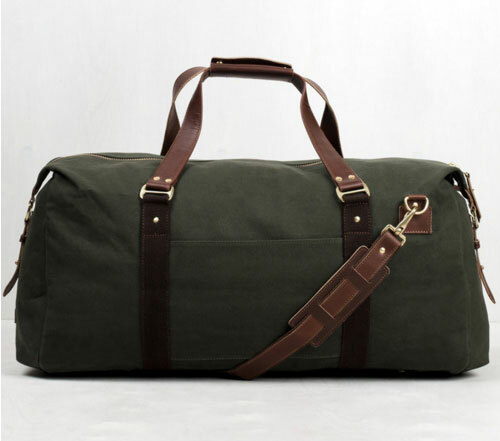 United By Blue produces a stylish, classic duffle bag that is old-school tough. Constructed with military-grade, waxed, water-resistant cotton fabric, heavy duty zipper with large grip tab, brass hardware all around (including zippers), and finished off with ergonomic, rugged leather wrap-around handles. The base is fitted with five brass floor studs that will stand up to all manners of airport abuse: this is a bag that begs to be dragged around rough terrain. One large compartment, coupled with a side zip compartment for smaller items, will accept essentials for a three-to-four day trip. Fishpond’s new El Nino Guide Pack follows the same pattern, employing a tough outer shell, large waterproof zipper and an extra wide carrying strap. The El Nino is one item that has taken to heart the current trend of taking along your fishing essentials in an over-the-shoulder, courier-type bag. I wasn’t convinced this was the way to go but changed my views after just two days of testing. One large compartment with one see-through internal divider will keep all your gear in order. Throw in a few full-sized boxes, a sweater, shell, food and drink and the usual fly fishing nick-knacks (leaders, tippet, knife… ) and you’re set for a full day on the water. Has the requisite external attachment loops, in various configurations and sizes as well as an extra-large hook & loop patch—nice touch. The El Nino also sports a nice, wide, padded shoulder strap. A deceptively simple, no fuss, tough-as-nails carrying system that will not disappoint. 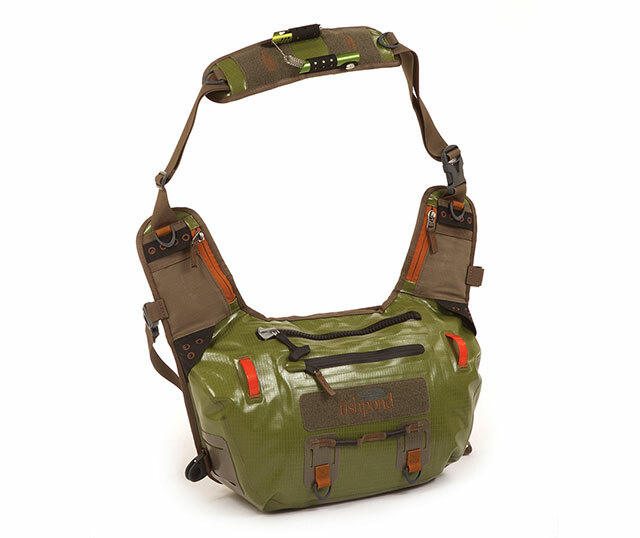 Like many of Fishpond products, this one is composed of Cyclepond recycled fabrics, which is made of recycled commercial fishing nets that have been hauled out of oceans. The El Nino is designated submersible/waterproof. Definitely worth a look if you’re thinking of revising or adding to your carrying gear. One of the hallmarks of a premium travel item is packability: anything that can be made compact allows room for additional gear. Chambray is a fabric that I discovered only recently. It weighs very little, can be crushed into a tight ball (if necessary), then stretched into decent shape when required. It will also dry quickly in a light wind. It’s a wonder that fishing gear manufacturers aren’t making more items using it. United By Blue also makes great chambray shirts. The weave allows for excellent ventilation, so no need for complex venting slits or flaps. A smart, lightweight shirt that looks like a regular shirt: a perfect companion for that tropical fishing trip. If a tropical destination is on your radar, Orvis has just issued a fail-proof, fool-proof salt water line called the Ignitor. What Orvis has done, essentially, is ask how powerful a line can be designed and produced. 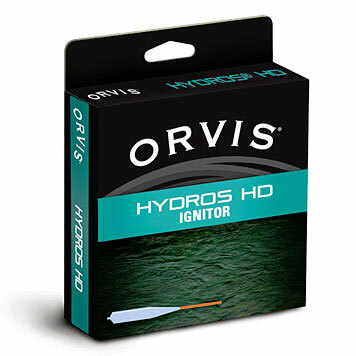 The answer is the Orvis Ignitor. The line packs a wallop by employing a super-short, super-heavy head which provides all of the intended advantages when everything is stacked against you—wind, large flies—and nothing but quick deliveries work. Takes just a few casts to adjust to if you’ve been fishing more delicate tapers, but will do what other lines just can’t. Coupled with a slick, dense coating, this is a travel essential that will lay many of your worries to rest. Heading off to slightly cooler climes? One of the more interesting items I’ve tested lately is the Orvis Trout Bum Dri-Release Flannel Shirt. The dense, poly/Tencel technical weave functions perfectly on its own or as a midlayer, which remains very warm as a result of the heat-retaining properties provided by the lightly combed fabric. This is a fishing-specific garment: cut and stitched for maximum movement, fitted with two vertical-zip chest pockets, able to easily accept two medium-sized fly boxes. 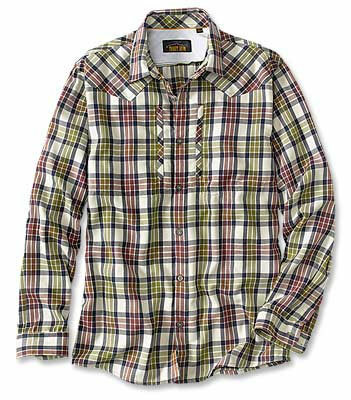 Finally, the shirt’s star appeal is that it’s quick-drying —hard to pull off with a brushed fabric, but Orvis has managed to do it. Crushes down nicely, highly packable.